Catching Rays, a new limited edition print by NZ printmaker Greg Straight, encapsulates just about everything we like to see in a contemporary print by a New Zealand artist. 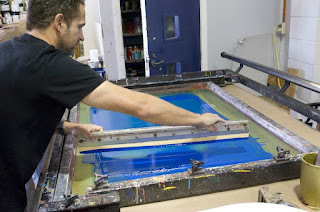 It's technically proficient, printed with great attention to detail, it has crisp lines and dense colour. The artwork is large scale (it's on a full A1 sheet) and in a small edition (just 25 prints). 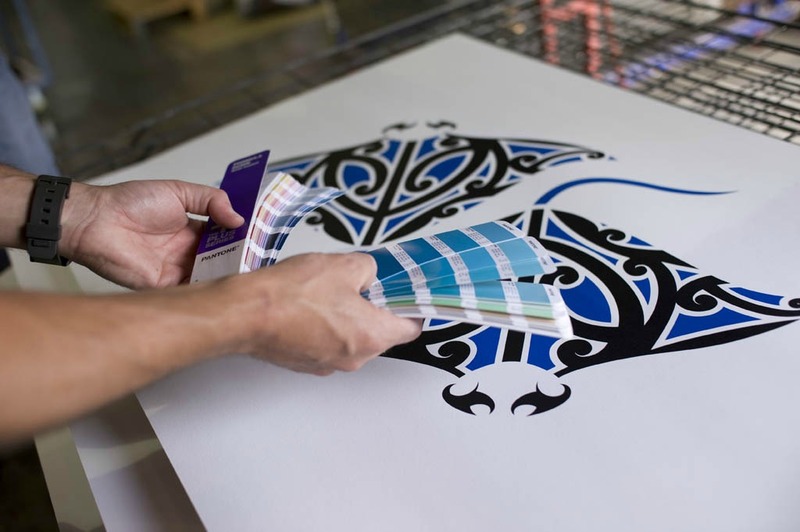 It depicts something unique to NZ in with a creative and distinctive artistic voice that is both thoughtful and decorative. 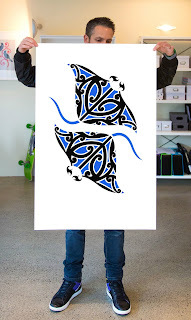 The design on the rays wings may at first glance appear to be just a riff on classic Maori motifs but there is definitely something bat(man) like about the patterns on a second look. Catching Rays is also great value, you are buying a very large handmade print by a popular artist for just $300. 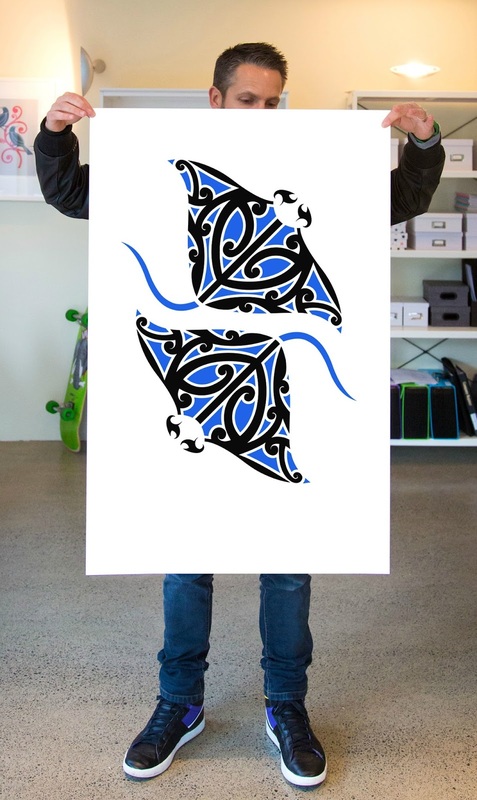 We also love the subject, New Zealand's sea creatures like sting rays haven't had as much exposure in contemporary art (compare the vast range that is available to buy in the ever popular native birds and native plants collections) but they deserve to be celebrated by our artists to the same degree. Greg with his print "Catching Rays"
Artist/illustrator Giselle Clarkson whose "Fish Species of NZ" print came out a couple of years ago is another artist whose interest in depicting NZ's sea creatures is making us wonder if a new kiwi wall art trend is stirring.